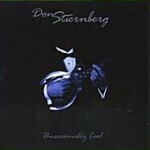 More straight ahead acoustic jazz from virtuoso mandolinist Don Stiernberg. In an acoustic ensemble setting (guitar, bass, drums), he proves once again that the mandolin is a force to be reckoned with in the jazz idiom. Don’s lyric phrasing and textural chord progressions speak volumes about his mastery — not merely of his chosen instrument, but also of the great American songbook.